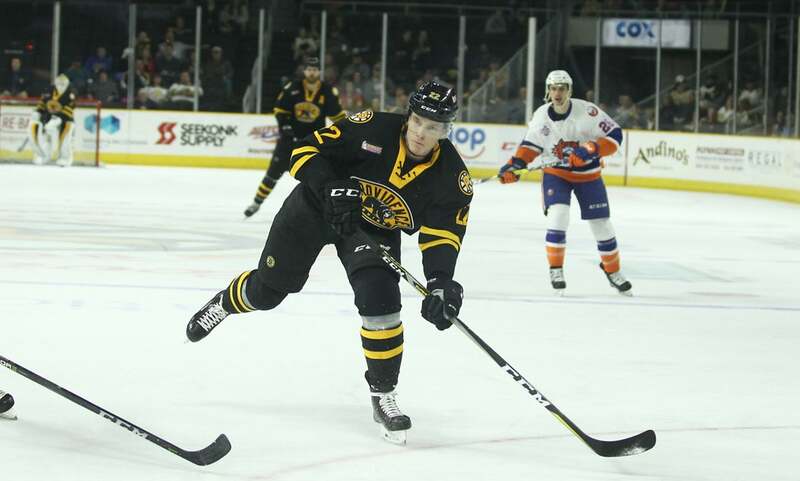 Coming off a season in which he was named P-Bruins Rookie of the Year, Peter Cehlarik returned to Providence for 2017-18 looking to build on a promising campaign. A shoulder injury that required offseason surgery ended last year prematurely for the winger as he missed the final 15 games of the 2017 Calder Cup Playoffs. A hard-worker who is always one of the first guys at the rink, Cehlarik rehabbed well from the injury and was ready for the start of his second professional season. A natural left wing, Cehlarik began the year on the right side of Providence’s top two lines. His play in October was superb, netting three goals and six points in five games. He fired 20 shots in those games and was a key member of the power play unit, easily adjusting to playing on the opposite side. Perhaps the best pure goal scorer on the roster, Boston rewarded his early season success with a promotion November 13. He scored his first NHL goal November 18 against San Jose and his versatility was paying off in a big way. Of the five games he played at the NHL level, all of them came as a top-six forward with four of them coming on the right side. Unfortunately for the 22-year old, another injury forced him to miss significant time. A lower body injury suffered against the Pittsburgh Penguins kept Cehlarik out all of December while on Boston’s IR. When healthy enough to return, he was sent back to Providence where he spent all but one game for the rest of the season. Upon coming back, he quickly regained his form scoring goals in the next three games. However, he then hit one of the first dry-spells of his young career. From January 13 to February 23, Cehlarik was held without a goal for 17 games as a combination of bad luck and lack of consistent chemistry with changing line mates made getting into a rhythm tough. He still managed six assists during that time, but he was obviously chomping at the bit to light the lamp again. On February 24 he broke the slump with a goal against Hartford and finished the year much more like his normal self. Over the last nine games of his season, Cehlarik had five goals and eight points along with three multipoint games and a plus-five rating. In Providence’s lone win of the 2018 Calder Cup Playoffs, Cehlarik put forth one his best games of the season. 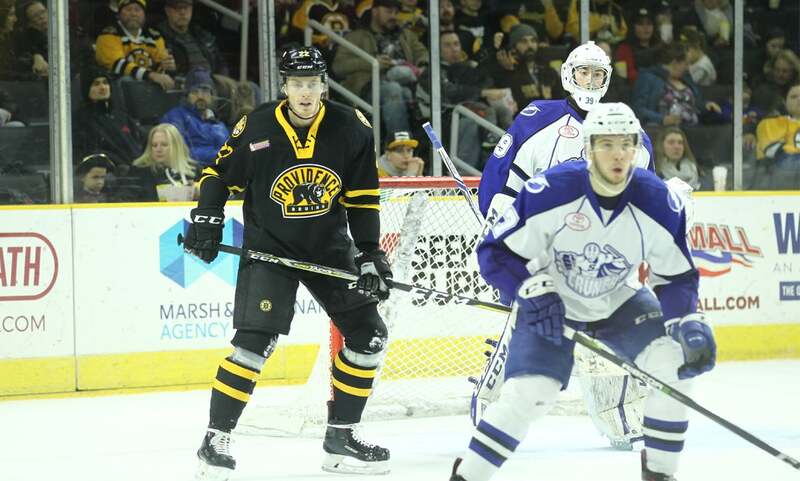 He scored two sweet goals with the second being an absolute perfect wrist-shot to secure a 5-3 P-Bruins win. Providence lost the series in four games to the Lehigh Valley Phantoms, but perhaps the series would have been different if Cehlarik had not gotten hurt during game three and had to miss the final contest which went to overtime. Overall, Cehlarik had three NHL call-ups throughout the season, showing off his size and skill in both the NHL and AHL. 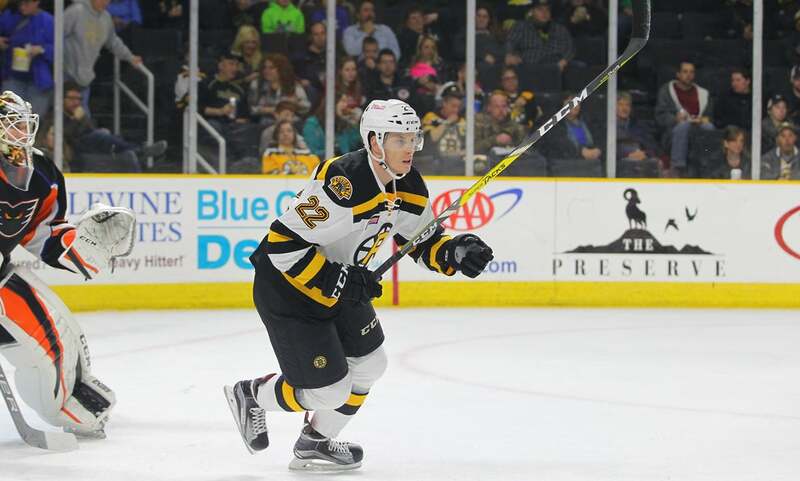 He finished the season with 11 goals and 23 points in 35 games for the P-Bruins as injuries and promotions made his numbers look more pedestrian than they really were. Health is the key thing for Cehlarik as when given the chance he been effective on both the left and right wings. With spots available, he could be given the first look to crack Boston’s opening night roster as he is one of the organization’s most NHL ready prospects when healthy.